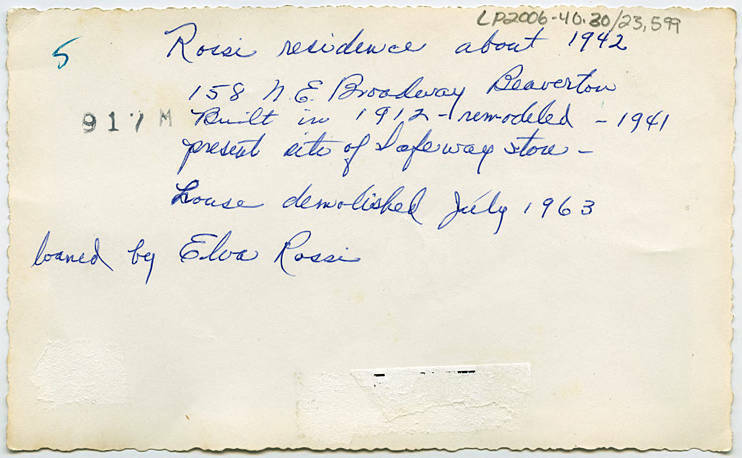 Photograph of the Rossi residence in Beaverton. The house was demolished to make way for a Safeway grocery store (the grocery store is no longer standing as of 2013). 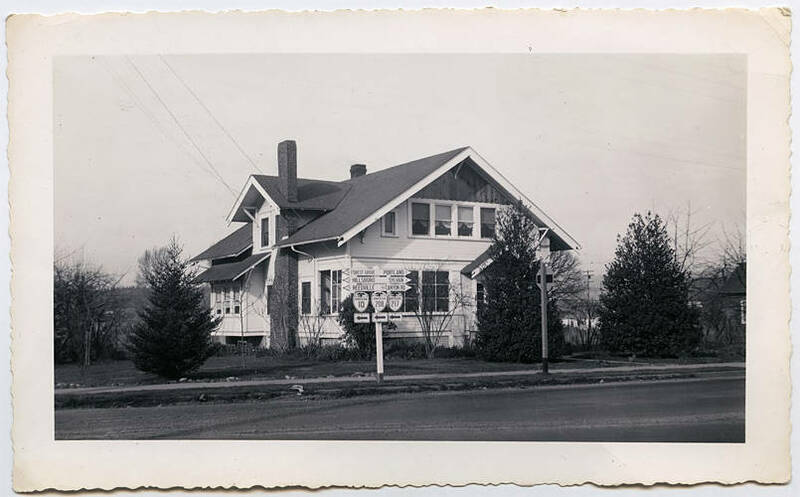 [back] Rossi residence about 1942; 158 N. E. Broadway Beaverton; Built in 1912 - remodeled 1941; present site of Safeway store - house demolished July 1963.